When the parents of a child are not living together, or the parents do not have an agreement in place for how to financially care for their child, the court can impose one parent to pay the other parent child support. It is a common misconception that child support is just the financial obligation one parent has to another in the form of a lump sum payment each month – but it does not end there. Child support also accounts for the division of how unpaid medical expenses, extracurricular activities, and overall school costs are split between the parents. A child support order will also dictate which parent can claim the children in what year. 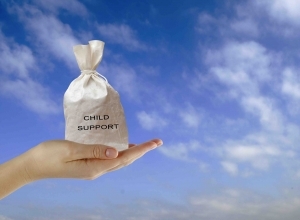 There are many factors that go into calculating child support and each state has Child Support Guidelines to follow. To begin with, child support is a crucial aspect for many families after divorce or separation of the parents. Child support is not required just to provide the basics for the minor children, but to ensure that the minor children are living a lifestyle that is similar to what they were living when their parents were still together, or what their lifestyle would have been if their parents had been together at any point. Many parents argue over paying child support to the other parent, but often times it is forgotten that child support is meant to pay for their children’s needs and by not paying the other parent, they are just hurting the children. The court will look into what the parent’s reasonable monthly expenses are, but this is really just the bare minimum to get by and many people do not realize that. The court will consider funds needed to meet the parent’s basic necessities, such as rent or mortgage, food, clothing, and health care. [iv] Expenses above and beyond this, like dinning out, school expenses, and entertainment, will not be taken into consideration when determining if a parent can afford to pay their child support obligation each month. [v] The theory behind this determination is that financial obligations to your family is much more important than going out to the movies or eating out. Even though going to school will eventually lead to an increased income for you and your children, the court has found that the obligation to your child is more important right now, than any potential gain the future. The amount of time a parent spends with their child also plays a role in calculating child support. Many states still use the term “custody” but Arizona uses the terms “parenting time” and “legal decision making”. Together, these are what other states refer to as custody. Parenting time is where the child is physically, with Mother or Father. The legal decision making is the ability for the parents to make medical, educational, and religious decisions for the child. Even if one parent has the child the majority of the time, it is still possible for the parents to share legal decision making – meaning they have to talk about those important life decisions for the child. In Arizona, the child support calculator asks which parent the child lives with the majority of the time. If the child primarily lives with Mother, the child support worksheet has a section where you can fill in how many days the child is with Father. The more time the Father spends with the child in that situation, the lower his child support obligation will be. The reasoning behind that is the more time the child spends with Father, the more money he will need during his parenting time and the less he needs to give to Mother. Reducing the child support obligation as parenting time increases is because now Father needs to spend more money while the child is with him. Often times when a parent goes after another parent for child support, or modification of child support, the other parent will want to increase their parenting time or start exercising the parenting time they should have already been exercising. This is a common occurrence because of the reduction in child support that occurs with increased parenting time. The parent requesting modification will file with the court, and a hearing will be held to modify. The hearing will be similar to the hearing that initially set the child support order. The court will look at the parent’s income, other living expenses, what the current parenting time plan is, and other factors as necessary – and then modify the child support. 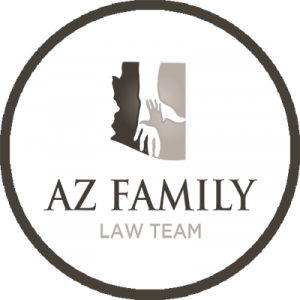 In Arizona, if the modification of child support would not be more than 15% in difference, then the court is unlikely to actually modify the child support amount (either up or down). A child support obligation is required in the majority of situations where the parents are not living together or financially supporting their child together. Child support is meant to support the child, but often times parents forget this and often withhold funds from the other parents out of spite. Child support is meant to cover the everyday needs for the child, as well as their medical, educational, and recreational needs. Child support can be modified if there is a change in circumstance, but for the majority of situations, child support will continue until the child is of 18 years of age. 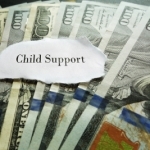 If the parents cannot come to some agreement regarding the monthly financial obligations of each parent, the court can step in and use the child support guidelines of that state to establish the monthly child support obligation.